Get the luxury of dining at one of the most exotic locations of Bandhavgarh Jungles, accompanied with thrilling adventures such as a three hour jungle drive from Tala Village to Bagdhara District with a chance to encounter wild species such as Sambar Deer and wild Indian Boars. Meet the Baiga tribe people at Bagdhara and get a feel of their awe-inspiring culture and art, while you shoot for some memorable moments. 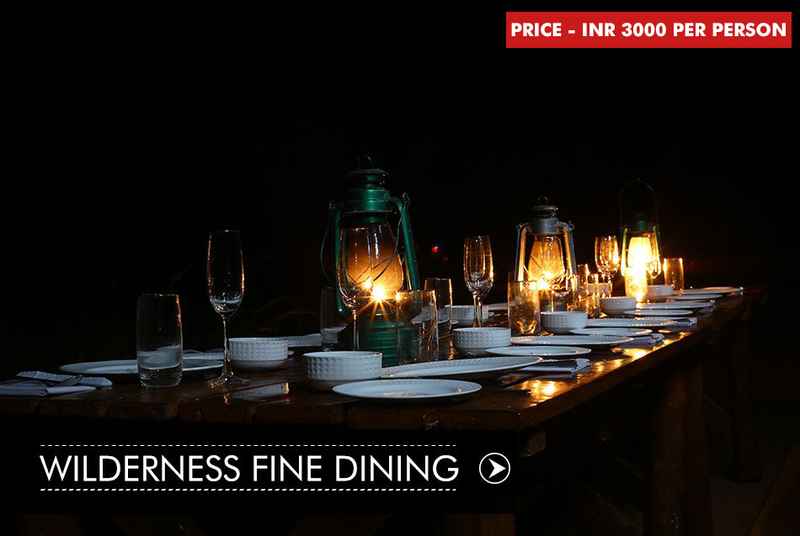 Experience the scrumptious taste of delectable tribal dishes as you sense lavishness in wilderness.